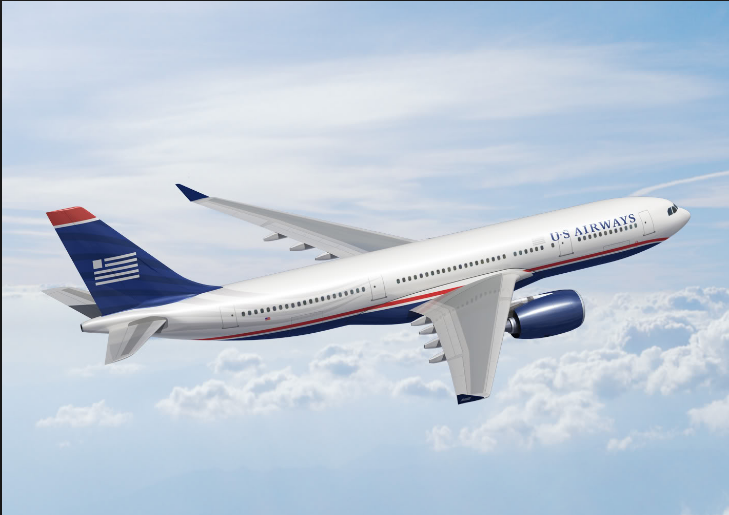 US Airways mostly operates within North America, but there are some flights that go beyond America, mainly to Europe and South America. This benefits the frequent flier because it adds more routes and flights besides the Oneworld partners to both continents. Since US Airways maintains its own award chart in addition to their Oneworld partner award chart, this makes for an interesting analysis. 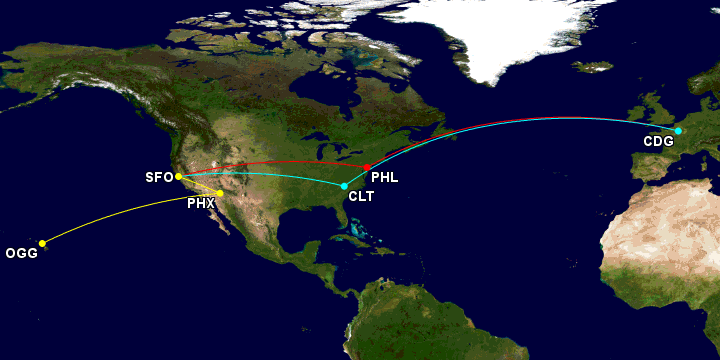 The following shows a snippet of the US Airways award chart for Europe for US Airways flights only. The prices shown are for round-trip awards in economy, Business, and First Class. Also remember that US Airways does not allow one-way award redemptions. Note that premium cabins are not included in the Off-peak award chart which means they are charged the Low rate of redemption, 100k miles. Travel to / from Europe, Middle East, and Africa must operate via the Atlantic Ocean. This means you can’t fly to Europe with a stop-over in Asia, however you can visit Europe on an award trip to Asia, as discussed in the previous post. Recall that there are still some Star Alliance partners that can be booked using US Airways miles. Luckily, for now the award chart for the Oneworld Partners and Other Partners is the exact same in terms of redemption rates! It’s worth noting that US Airways prices their awards as one-ways. This doesn’t mean they allow one-way awards, but merely that if the outbound flight is in economy and the return leg is in First Class, then you will not be charged a full First Class round-trip price! Additionally, since you are allowed 1 stop-over or 1 open-jaw without many restrictions, a little creativity can go a long way in maximizing your miles. Since there are two redemption rates based on whether all segments are US Airways operated or not, this gives us another multiple options to maximize our miles. Instead of using the stop-over in Europe, you can get a free one-way to Hawaii for a later date. This itinerary will only cost 35k in economy! Since off-peak rates only apply to economy class, the Business class redemption is the standard Low price of 100k miles. Off-peak awards are priced by the date of the first flight and since US Airways round-trip awards are priced as two one-ways you can save miles by getting one-way priced at an Off-peak rate! Recall US Airways doesn’t charge fuel surcharges therefore there is no need to worry about high fees on this itinerary! You can also use the stop-over or open-jaw within Europe which would enable you to visit more European cities rather than get a free one-way to Hawaii. While this forces us to only use US Airways flights, there are still some gems to be had if you decide to fly a Oneworld partner. You can visit two countries and two highly sought after cities for 60k miles in economy or for 100k miles in Business Class! Once again, none of the airlines listed here would pass on fuel surcharges so even that portion of the cost is very low. This award also opens another option for maximizing your miles: Brazil, by law, doesn’t allow any airline that leaves a Brazilian airport to charge the passengers fuel surcharges. This means that even if you book an award on Iberia to Madrid or British Airways to London, you are not charged any fuel surcharges as long as you are flying out of Brazil! Central America – Fly Iberia to Madrid, Air Berlin to Dusseldorf, or British Airways to London then continue your journey. South America – Fly TAM to Sao Paulo. 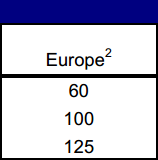 Awards to Europe can be categorized as two different types when using US Airways miles. There are awards on US Airways flights only which have the option for discounted off-peak awards. These are great redemptions for those that live in a US Airways hub city like Charlotte or Philadelphia since theses cities have non-stop flights to major European cities. For those who don’t live in these cities, it may be a bit harder to book an award ticket since additional segments are needed which means more flights that need to have award availability at the lowest redemption level. Oneworld awards might be easier to book because there are so many partner airlines that fly daily to Europe from every major city in America. However not having an off-peak award option means you won’t be able to fly to Europe and back for 35k miles, which is a steal! 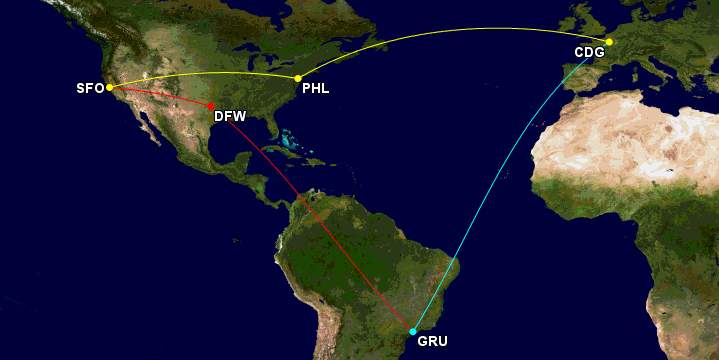 While redemption levels may be higher with the Oneworld awards, it does allow for better maximization of the relaxed routing rules US Airways allows and ultimately allows more flexibility. Having more partner airlines will allow you to choose your stop-over from a much bigger pool of destinations when compared to flights operated strictly by US Airways only. As always, it may take multiple tries to get a complicated award booked and priced so being patient and trying multiple booking agents might get you the itinerary you want. Aren’t the award requirements reduced by 5,000 miles for holders of the US Airways Dividend Master Card? You are correct! Thanks for pointing that out. This is a great post for all of us in the Carolinas who use CLT. If you are booking an open-jaw to Europe and you want to book an add-on say to the Caribbean, can it be an open date ticket if it is over a year in the future? Since you’re already using your open-jaw you cannot use a stopover at CLT for a free one-way to the caribbean. Also you have to use the stopover within 365 days but not over. However what you CAN do since Europe is fairly small in terms of area… fly into a city which serves the caribbean well and use the caribbean as a stopover either on the outbound or return leg. Hope that helps… let me know what itinerary you were thinking of?